Yellow for the background, black for the silhouette and red for the letters, those were the colors of the original logo of the Cantillon brewery. These colors were not chosen haphazardly. The designer who created the logo in the beginning of the 20th century simply used the colors of the Belgian flag. 2013 has been a marvelous year for the Belgian artists and sportsmen. Our national colors have been put in the spotlight on many occasions. 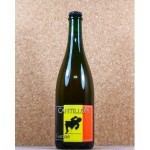 Brasserie Cantillon wanted to share this enthusiasm in its own way, by creating a modern version of its Gueuze label. 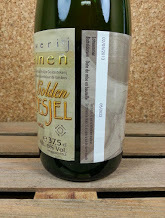 Our current designer has made a new label by putting together the logo and the Belgian flag. This label will only be used for a short time until the stock is exhausted. 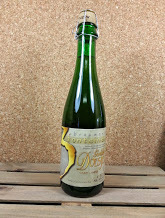 The Lou Pepe Gueuze is made with 2 year-old-lambic beer with a mellow taste, often coming from barrels in whichonly wine has been kept before. 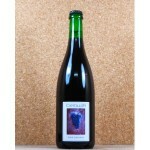 The Cantillon lambics which are used to make the Lou Pepe are brewed in the same season. 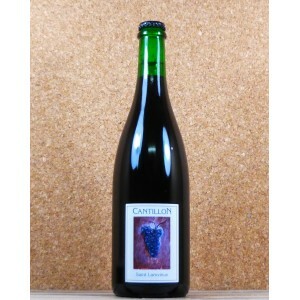 The Merlot and Cabarnet-Franc grapes are soaked in Bordeaux barrels containing two/three year old Cantillon lambic. The beer is not blended before the bottling. The foam is caused by the addition of a liquor which starts the fermentation. 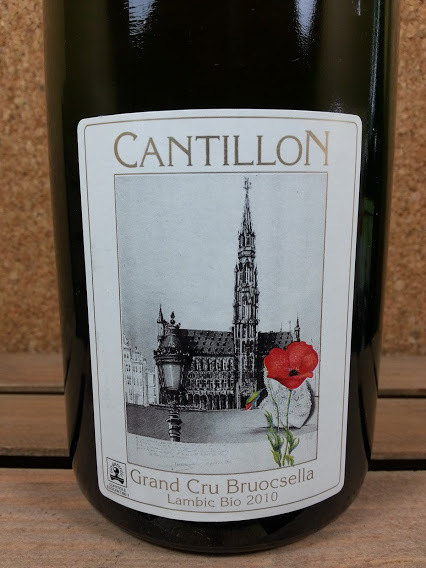 Brasserie Cantillon Cuvée Vigneronne 2013, a druiven-lambic (grape-lambic) is made from blending 2-year-old 2011 Cantillon lambic with Italian Muscat grapes. The Vigneronne was bottled in October 2013. 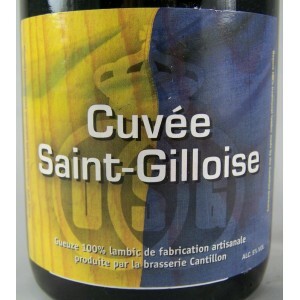 Brasserie Cantillon released it’s “2014 Cuvée Saint-Gilloise”. Cantillon Cuvée Saint-Gilloise is not a traditional ‘gueuze,’ in that it is made from un-blended two year-old lambic (spontaneously fermented), not from a blend of older and younger lambics. It is dry-hopped in the cask for 3 weeks with Bavarian Hallertau hops. Re-fermentation in the bottle is achieved with the addition of a small amount of candi sugar. 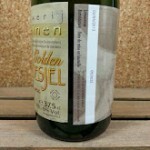 Brouwerij 3 Fonteinen released their 2013 version of the Golden Doesjel. The brewery started making this brew in 2012; a blend of Golden Blend (a geuze of 1, 2 3 and 4 yr old lambic) and Doesjel (old lambic-geuze). 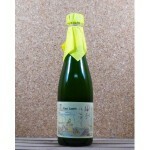 Leo Imai, the Japanese brewer & lambic-blender from Brussels has a new batch of his “Yuzu” Lambic. 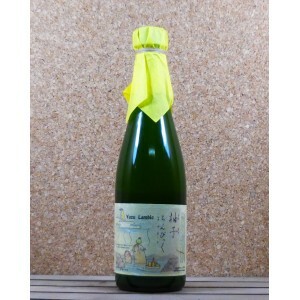 “Yuzu” Lambic is De Troch lambic mixed with Japanese citron peel. Note by Leo Imai : Brewed using Japanese Yuzu (lemon). 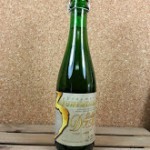 The base lambic is blended with lambic matured 1-2 years in wooden barrel. After that, matured 1 year with selected Yuzu and second fermentation in the bottle, same as champagne yeast. 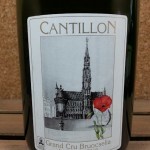 Brasserie Cantillon is currently bottling the 2010 old-lambic (bottling date 2014). Belgiuminabox still has some bottles left of bottling year 2013.